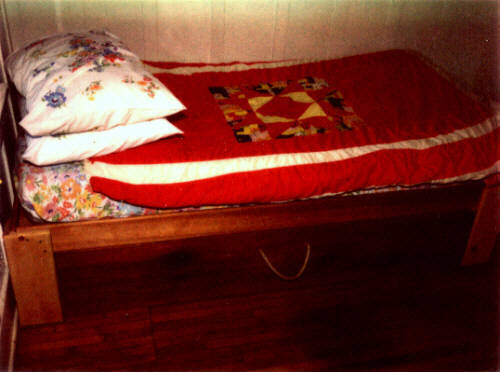 Here are some beds I've made. Call or e-mail for pricing. 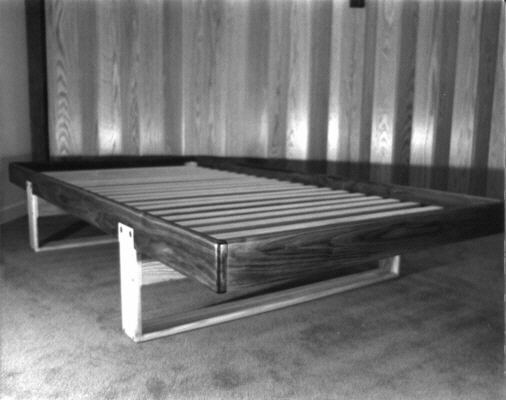 Walnut and oak KD bed showing oak slats. 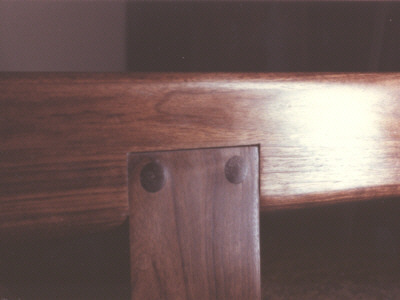 Walnut and oak KD bed showing leg detail. 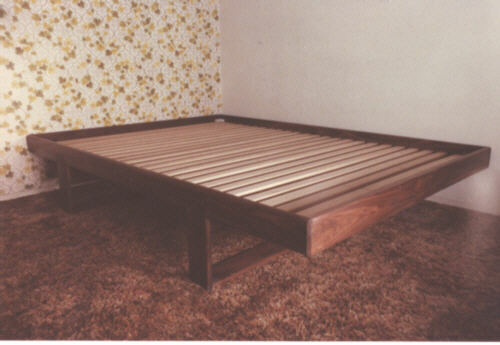 Same style all walnut KD bed showing oak slats. 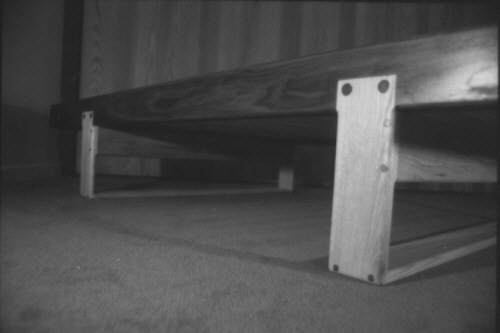 Walnut KD bed showing leg detail. 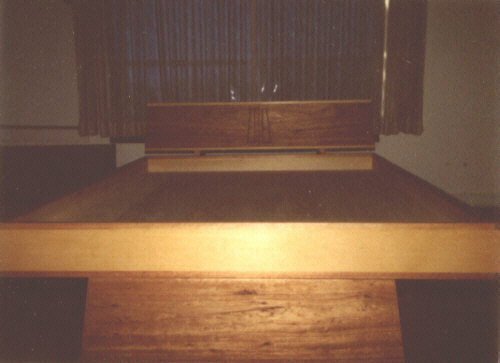 and opening mahonagy base front for under bed storage.